Over the years I’ve collected a couple of USB external hard drives that I’m not using. I wondered if I could combine them in some way so I could use them as a single volume with my Mac. Could you? Probably. Should you? Nah. Addressing the Could side of the equation, yes, under ideal circumstances you could launch Disk Utility (found in /Applications/Utilities), click on the RAID tab, drag the two drives into the drive area, choose one of three formatting flavors—Mirrored RAID Set, Striped RAID Set, or Concatenated Disk Set—and click Create. The drives would be erased and the formatting applied. 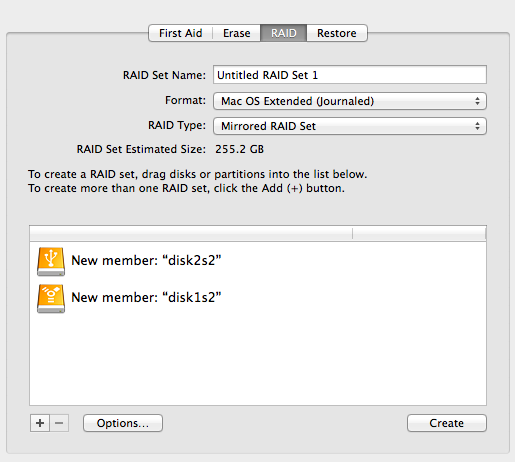 Disk Utility is the means for creating RAID sets. And what is this RAID (Redundant Array of Inexpensive or Independent Disks) of which I speak? A mirrored RAID (known as RAID 1) contains the same information on each drive. If one drive fails, you still have your data. It’s intended for safety rather than speed. And since the data is duplicated, you realize the capacity only of the smallest drive. So, if you have a 1TB drive and a 500GB drive, your RAID will have a capacity only of 500GB. Striped RAID (RAID 0) can be faster as you’re not writing the same data twice but rather placing this data on one disk and that data on the other. It’s a scheme recommended for large files. 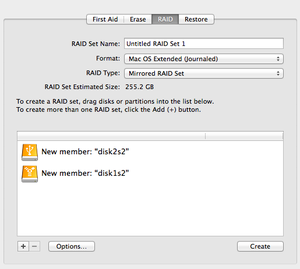 The problem with RAID 0 is that there’s no redundancy. If one drive gets corrupted, that data could be gone forever. And a Concatenated Disk Set is a way of combining the capacities of multiple drives into a single virtual volume. Again, there’s no redundancy so you risk losing data. Now, to the should. 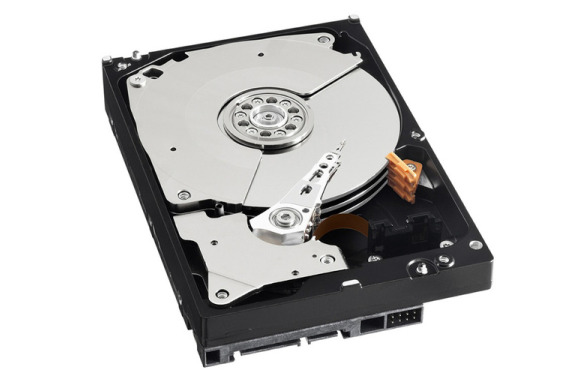 While you often can combine multiple external hard drives, there can be problems doing so. If the controller hardware differs between the two, they may not be able to be combined (or behave poorly even if you can combine them). And as these are older USB drives, as part of a RAID they’re going to be very slow. If I were in your shoes I’d go one of two ways. The first is to leave the drives right where they are and use them as part of a redundant Time Machine backup. The other is to rip the drives out of their cases and shove them into a dedicated RAID enclosure or, if you’d like even more flexibility, a NAS (Network Attached Storage) device.